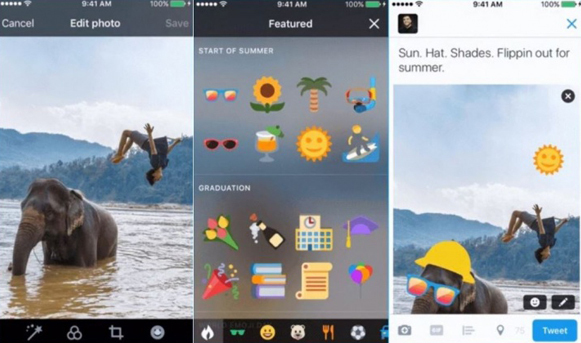 Twitter hits the headlines for something that millennials will find agreeable: #Stickers. Twitter has been lagging behind fast-growing rivals like Snapchat and Facebook Messenger. The ‘fun’ component has been conspicuously missing on this microblogging site. But not anymore. 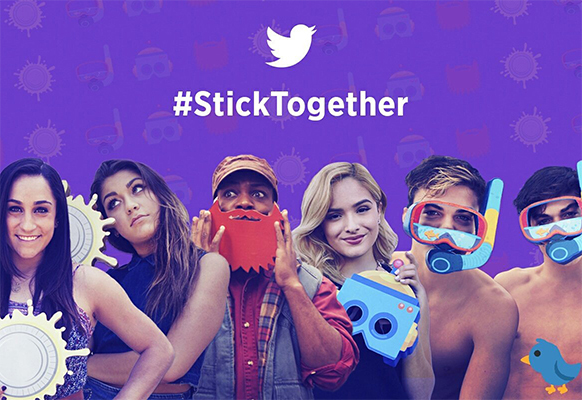 Twitter has rolled out new stickers for both iOS and Android – and it has Snapchat to thank for it. Snapchat is the pioneer in letting users move stickers around. Users place two fingers on either side of the sticker, then turn the fingers clockwise or anticlockwise to rotate – slide the fingers together or apart to resize the sticker. And now stickers have become the in thing in social media. Twitter’s new sticker feature allows users to apply custom made accessories, emoji, and props to photos on tweets before posting. You can put up to 25 stickers on a single image, whether taken with the Twitter camera or imported from the phone library. “Use them to share what you’re doing or how you’re feeling, to show support for a cause, or to just add some flair,” were Twitter’s words. 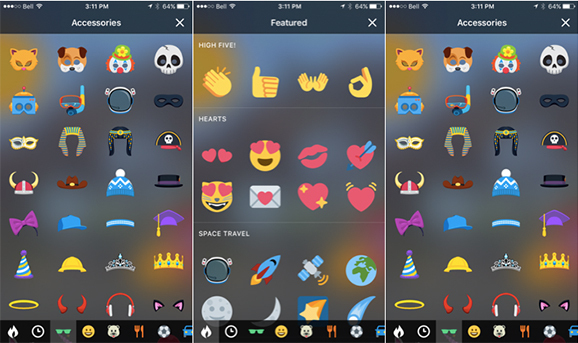 The stickers include multiple sets of accessories, emoji, and props that show up in the app’s photo editing section. They appear when a user is sharing a photo on Twitter’s mobile app. There’s quite a handful of them to select from: hats, masks, emoji, food, sports gear, you name it. Twitter places a tiny smiley icon on the bottom right corner of the photo you wish to attach to your tweet. To pick a sticker, tap on the smiley icon and a new window full of stickers will pop up. The stickers are categorized, so it should be easy for you to find the most suitable one for your purpose. Once you place a sticker on your photo, you can hold and drag it to move it around. The feature also lets you enlarge, shrink or tilt a sticker by pinching it by using two fingers. Any fourteen-year-old with a smartphone will tell you that sounds so Snapchat! 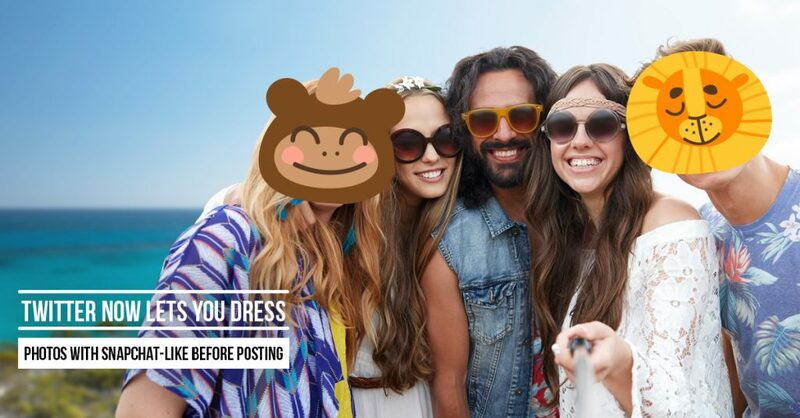 And to remove a sticker from a photo, simply tap and hold on the sticker, and drag it to the bottom of the screen. A trash can icon appears where you should drop the sticker. This option is available only to a sticker you created, as you cannot edit stickers on posts that you are retweeting from someone else. According to Twitter, users will also be able to view and click the stickers on its web portal Twitter.com. Clearly, Twitter couldn’t deny its love for Snapchat stickers. But before thinking that Facebook is the only social network wanting what Snapchat has, think again. 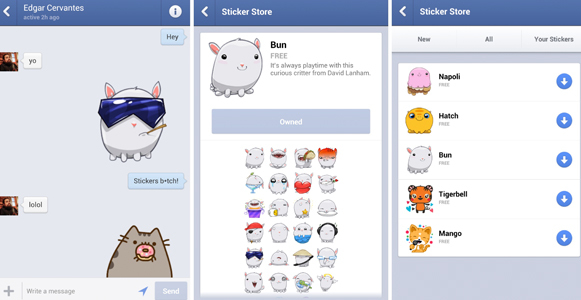 Facebook Messenger has had stickers for a while but has recently introduced a host of new emojis on the mobile Messenger app. Downloadable stickers and other visual effect for Messages will also be supported by Apple’s iOS 10, which will hit the market this fall. Twitter has now jumped in on the bandwagon. Searchable Hashtags, or a Move to the Visual Search Direction? Despite borrowing from Snapchat, Twitter has managed to put a touch of ‘Twitter” on these stickers: they are available as visual hashtags. When you hit an emoji or sticker, a new list of stories featuring various uses of the same sticker appears – just as it happens with a hashtag. 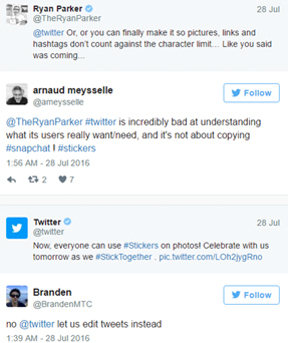 This means that once you tweet a photo with stickers on it, that photo becomes searchable across Twitter. This means other users who tap on photos with the same sticker on them will be able to find your photo on this visual spin. This visual hashtag will let users tap on stickers in various tweets and see on a new timeline, how people across the planet have used the same sticker. Playing “me too” is Not Good Enough! This was the feedback from many people. A popular feeling across the network’s user base is that the company should focus on dealing with its problems rather than looking to mimic other networks. – Making good on its plans to not count pictures and other media as part of what adds up to the user’s 140 characters. Twitter said this change was supposed to be implemented last May. Twitter hasn’t stated any specific plan with its bunch of new stickers. But that allows us room to ponder. The company may want to monetize the feature to add to its bottom line. For one, it can choose to roll out brand-sponsored paid downloads or sticker packs. That’s what their competition is doing. 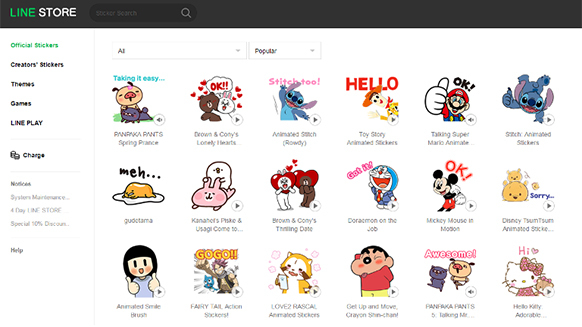 Japan’s mobile messaging app Line is making huge chunks of cash with stickers. Its sticker packs generate well over $20 million every month, selling a pack at around 1 to 2 dollars each. The company claims it’s currently making more than $270 million a year from the stickers business. Snapchat, on the other hand, lets companies buy special sticker-like features called Lenses. For payments ranging from $100,000 to $750,000 in activation fees, a company can buy sponsored lenses from Snapchat and engage their audiences in impactful ways. It only makes sense that Twitter ventures into the potentially profitable ‘stickers’ territory to try and generate additional revenue. In addition, the introduction of the fun component might attract younger users and manage to scale up. This may be what the company needs, as Its level of engagement has significantly flattened out, with the latest statistics showing its monthly active user numbers standing at 313 million monthly active users – a meager 3 percent growth since last year.